The MJC Halaal Trust (MJCHT) noted the request for clarity on the status of KFC products in view of the negative social media postings in circulation. The MJCHT hereby confirms that it certifies the KFC Distribution Centers nationwide in South Africa (SA). These centres supply the KFC Stores. However, the choice of the halal certifying body at Store level rests solely with the respective franchise owners. 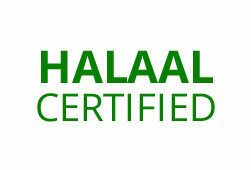 The MJCHT, in addition to the halal certification of the Distribution Centers, also certifies a number of KFCs at Store level of which the MJCHT Halal Certificate issued for the current year (2018) will be on display. The MJCHT furthermore confirms that the products offered by KFC SA stores, whuch are certified by the MJCHT or any other authentic SA halal certifier can be consumed with confidence, peace of mind and contentment of heart. Information to the contrary should be dissmissed as untrue.